I suspect that the reason we buy souvenirs has to do with validating our travels. Being away from friends & family time after time can lead us to feel like a nomad. Even on vacations, we want to remember, validate our time to the people we left behind. If we tweak our schedules to not missing a game or a recital, time keeps rolling, and souvenirs help remind us of other place and hopefully peaceful times. We also buy souvenirs as gifts for family and friends that could not make the trip. Souvenirs also become great icebreakers. Someone notices you have a souvenir from Washington DC, and that reminds them of their journey, stories are exchanged and friendship starts. 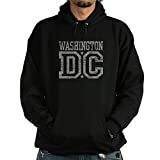 We built this web store just for Gifts From DC. 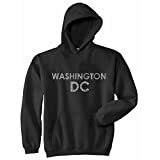 Getting Washington DC souvenirs and gifts from our online store will save you time and even money. All Amazon Prime users can get many of our items with free shipping. We don't see any reason to spend your precious vacation time standing in line! Or, even just looking over the street vendors items can take a while. Our ideal customer is one that is sitting back, enjoying a hot cup of coffee and just clicking away at the over 500 items in our store. Let's review some history about the Washington DC Mall. 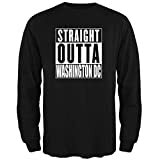 IT came into existence on July 16, 1790, Washington DC is as unique among American cities as any city in America, because it was established by the Constitution of the United States to serve as our nation’s capital. General George Washington chose a site along the Potomac, and Anacostia Rivers came about from a compromise between Alexander Hamilton and the leaders of the northern states who wanted our new government to assume Revolutionary War debts, and the Southern States lead by Thomas Jefferson they wanted the capital placed in a location friendly to southern agricultural interests. President George Washington, the first president who is the namesake of the city, chose the site and appointed three commissioners to help prepare for the arrival of the new government in 1800. Pierre Charles L’Enfant, the designer of this city, uses a bold new capital with sweeping boulevards, ceremonial spaces reminiscent of Paris, France. Benjamin Banneker, a self-taught African American, he is a mathematical genius, given the astronomical calculations for surveying and laying out our city. The development of Washington as a monumental city was not realized for another 100 years. It was the McMillan Commission that updated its plan to include the National Mall. It also designed the modern monuments that visitors to Washington know and recognize.